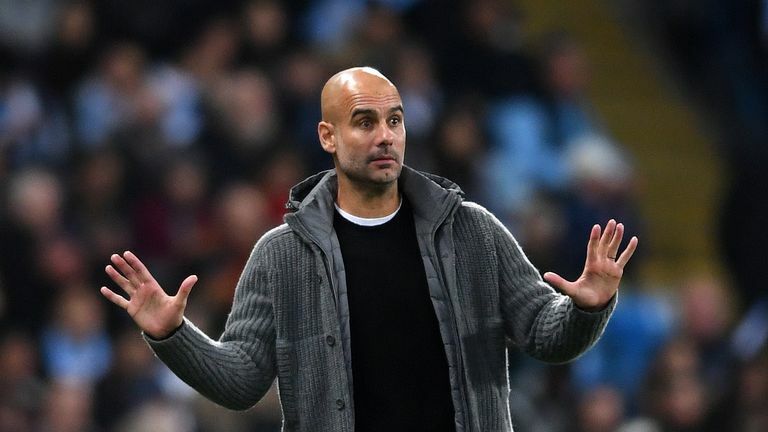 Pep Guardiola says he admires the way Jose Mourinho has battled through recent adversity as his Manchester City side prepare to face rivals Manchester United in Sunday’s derby. Mourinho has come through a tough period as United boss but he and his players received a huge confidence boost in midweek when they came from behind to beat Juventus 2-1 away in the Champions League. A run of indifferent results prior to that game in Turin has left the Old Trafford side off the pace in the Premier League title race but Guardiola has been impressed with how his long-standing rival and his other peers have come through adversity. "I admire not just Jose, all the managers, especially when they have tough problems," Guardiola said ahead of the Manchester derby - live on Sky Sports. "The situation he lives I have lived in the past myself and when it is going bad I will be in the same position. "I want to beat all the managers. We are not all friends - it is not necessary to be friends - but I am in the same position and when they suffer I know I will be there sooner or later. "Especially I admire the managers that react in the tough moments, when you lose games, and, both of us, we are similar. "The expectation of us all is so high. If we don't win, always we fail. He reacts and still stands up and keeps going. "We have to win all the titles we play for. We are quite similar in those situations."